Sherri Bronson is one of the top female age group competitors in America. The 56-year-old Scottsdale resident is annually ranked among the Top 10 players in the world in her age group and has claimed virtually every major age group championship in the United States. 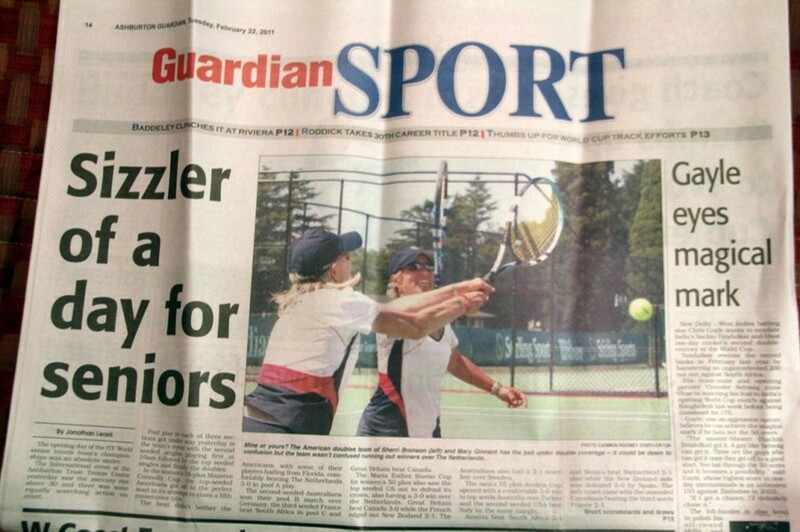 She has competed in several international competitions for her country, and this week, is in Christchurch, New Zealand for the ITF Super Senior World Championship event. Sherri will be sharing a few thoughts along the way about her trip in New Zealand, her teammates and the international travel experience. For full results, follow the tournament at www.itftennis.com/seniors. We are getting used to our life here in New Zealand. Breakfast, practice, lunch, practice, and then to our suite for dinner at home! The town of Ashburton is the cleanest, prettiest towns I've seen and a little away from the main site at Christchurch just down the road. 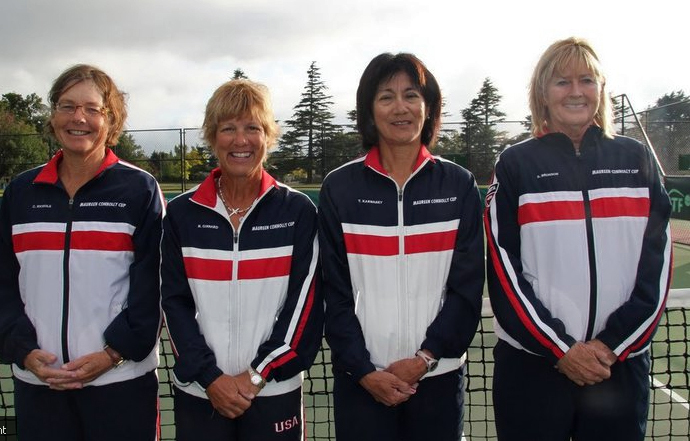 Our USA women's 55s team is seeded #1 and we begin play tomorrow. We are all seasoned competitors and used to this, but it never gets old representing your country. Our captain has done a terrific job of driving on the wrong side of the rode and not getting us killed! Besides spending hours at the grocery store, we have few distractions here. At the opening ceremonies the Maori kids performed and is similar to South Pacific Islanders dance! Here is our United States team shot as well. Carolyn Nichols is on the far left, Mary Ginnard is second, Tina Warwasky third, and I am on the end. I had no idea how hard it is to write a blog. Anyway, here goes. We tend to stay in our hotel room to pass the time. We lost hardly any games yesterday against the Netherlands so we were back fast. It's raining now so I don't know if I will even get to play. Okay, we did end up playing. We also headed off to practice in our 1910 Hup! Talk about a beautiful old car. This thing is amazing! On the courts today, the USA beat the Netherlands, winning all 3 matches convincingly. The weather holds for a bit, thankfully. My teammates Carolyn Nichols and Tina Warwasky were awesome and didn't lose a game in the singles. 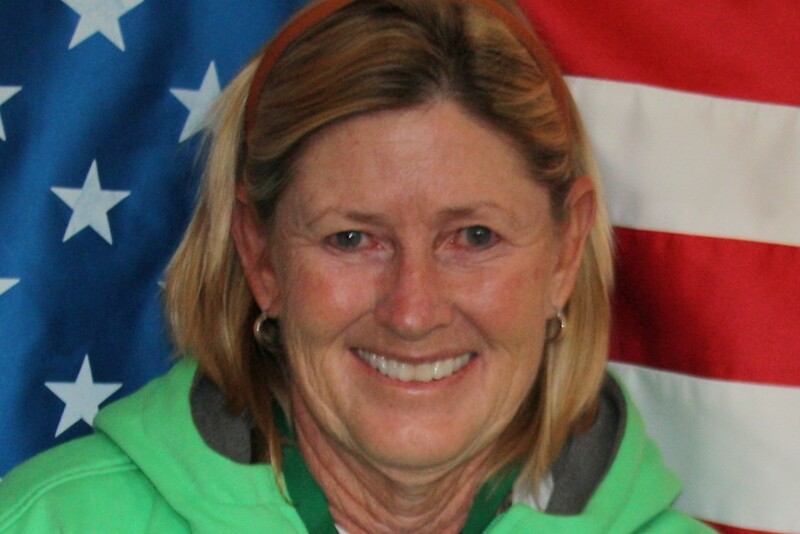 My partner Mary Ginnard and I played the doubles and won 6-3, 6-1 for the 3-0 U.S. victory on an incredibly windy day. (Bronson and Ginnard also made the front page of the local paper's sports section the next day). After that, it's off to the grocery store for dinner and party at our hotel. The people here are so friendly, everyone in the grocery store asks how we did today, which is great. It’s good to see the locals are so excited about this event. I guess since we are there every day they consider us personal friends. Still, I can't explain to you what a desolate place we are in. It's like someone dropped a tennis center in the middle of nowhere. We will play Turkey tomorrow and I don't think they are as strong as the Netherlands. I will write later if we get to play! Note: A 6.3 magnitude earthquake hit the city on Tuesday around noon, creating massive damage, killing more than 65 people and injuring hundreds. They're calling it New Zealand's worst natural disaster in more than 80 years. City streets and even the city's major landmark, the Christchurch Cathedral (pictured right), were destroyed. First off, we are fine. I know everyone is really worried. All US players are finally accounted for. Six of them had the day off on Tuesday, so it created a bit of a scare finding them. The players that were playing when the earthquake hit stopped, as the courts cracked right there on the spot. Luckily, our site is away from there in the city of Ashburton about 25 miles away. We didn't even feel anything. So much for our dull little town! We were rained out on Monday against Turkey, about all we got in was a # 2 singles match, where our player was up 5-0 before the rains came. What a day! I forgot to mention that we had a fire when we got to Ashburton. This is only Tuesday and we've had a fire, rain, and an earthquake! As for tennis, our #2 player was up 5-0 against Turkey before then the rains came. 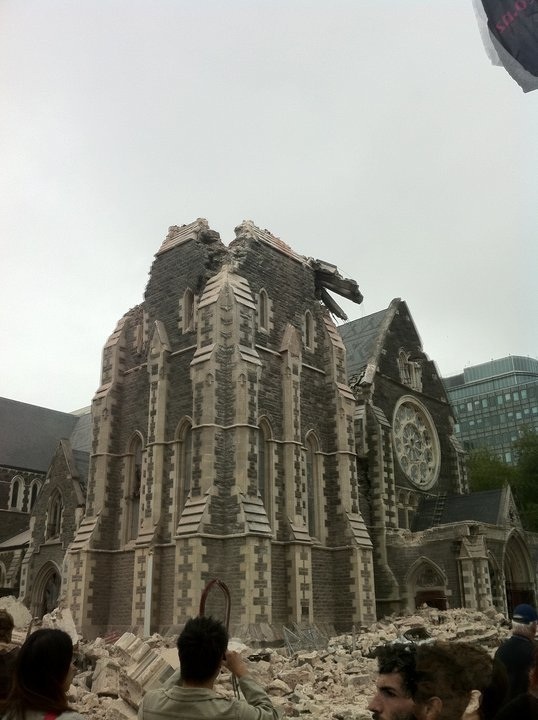 As far as the earthquake, Christchurch was devasted. Our teams that were playing there are all okay, thankfully. However, they can't get back to their hotels so they are all on their way to Ashburton to pile into our rooms. One of the nice residents advised us to raid the grocery store, so we do have food for the week. We did have some aftershocks into the late afternoon. We check out Sunday and there are no rooms anywhere due to a big golf tournament here. We are assuming our World Championships tournament in Christchurch will be cancelled, since the quake hit while play was going on and all the courts cracked. The airport is closed. So we are planning on heading somewhere in New Zealand! So , I guess that is enough for a day. Will try to write more when I know the situation. Thanks for all the notes. USTA SOUTHWEST NOTE: Andy Stoner, of Cave Creek, Ariz., who is competing on the US team in the men's 45s event, is also okay. he has notified his wife back home in Phoenix that he is okay. Pray for our players safe return! The USA women's 50's and 55's both defeated Turkey today after four exhausting rain delays. Getting to the club at 8:30 aa.m. nd staying most of the day, we finally got on the courts at around 4p.m. Our # 2 singles player won 6-0, 6-1, and #1 player, Carolyn Nichols won 6-0, 6-2. I partnered again with Mary Ginnard and we won our doubles match 6-2, 6-2. The Turkish players were really a delightful group and showed a lot of spirit and sportsmanship. Those are fun matches to play. Our players from Christchurch who had been in earthquake hell literally, all got housing here in Ashburton. The people have been really great about helping us out. The grocery stores are now totally empty of all food and water, but being the planners we are, we bought our food and got gas before the crowds from Christchurch arrived. That's going to be a huge blessing for us. The 35's, 40's, 45's, and 50s men, and the women's 45's were all playing in Christchurch. My fellow Arizonan Andy Stoner was there. He's doing okay we here. The women's 45's team are now in our room and half of the men are here scattered about in other competitor's rooms. It's quite a scene. I also wanted to give a nod to one of my teammates, Carolyn Nichols. She is also writing a blog Go to www.carolynnichols.com and there are photos and a slide show of the earthquake. The Women's 55's (my team) and Men's 55's are here in Ashburton. In Timaru, the women's 35' snd and 40's are playing. I will say it again: The disaster is something like I have never seen in any earthquake. I think the individuals will be cancelled next week but we don't know where we will go.. Our hotels were all prepaid so as of Sunday we will be vagabonds in New Zealand! Tomorrow (Thursday) is a day off so we should be able to see some of New Zealand!